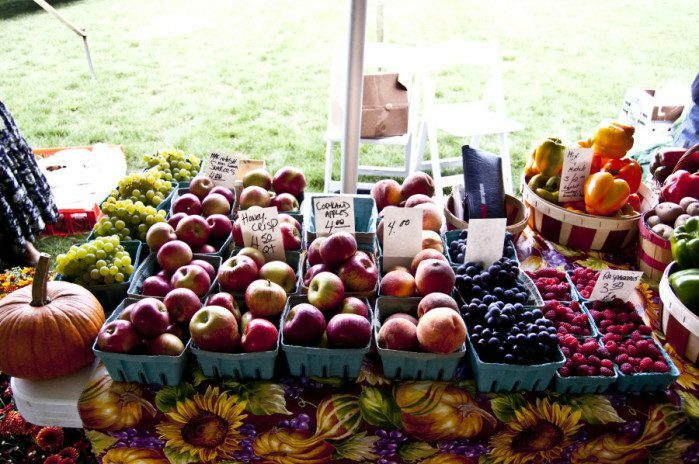 Goodell Gardens Farmers Market is held each Wednesday from 3-6 pm, from mid-June through September! Offering produce, meat, cheese, eggs, honey, baked goods, maple products and more, residents might even be able to plan an entire meal from purchases from our vendors – complete with dessert! Again this year, select Goodell Gardens Farmers Market vendors will accept the Farmers Market Nutritional Program Vouchers that are offered to eligible senior citizens and WIC recipients. For more information about these vouchers, or to receive your vouchers, contact your WIC office, or seniors call (814) 756-5373. The Farmers Market Nutritional Program is offered by the Pennsylvania Department of Agriculture. Goodell Gardens Farmers Market vendors also accept SNAP payments for the purchase of food, veggie starts, herbs and seeds for growing food. To find out how to use your EBT card at our market, please stop by the Goodell Gardens Headquarters Booth, and our staff will assist you with making your purchase. The market will be held in the Events Barn and the surrounding events lawn, which is situated within easy access to our parking areas. For more information call (814) 734-6699 or email info@goodellgardens.org.